It is a widely held truth that the best way out of poverty is a sound and quality education. Instead of improving our education system for all persons living in poverty, many teen pregnancy prevention organizations manipulate this fact. Telling non-pregnant and parenting teens that teenage parents are simply less likely to finish high school puts unfair onus solely on the teen, while failing to acknowledge that schools often push out teenage parents by coercion or noncompliance with Title IX. Teenage parents, and more specifically teenage mothers, face several obstacles when it comes to staying in school and graduating because of policies and practices at their schools, nevermind a condescending and or patronizing school environment. Due to the systemic removal of teenage parents from schools through shame and stigma to a lack of support for pregnant and parenting teens, teenage parents, their families, and their children are on a path to continue living in long-term poverty without at least the prospect of a high school education and diploma. What many fail to realize is support is prevention. Another common message spread about teenage pregnancy is that children born to teenage parents are more likely to become teenage parents. 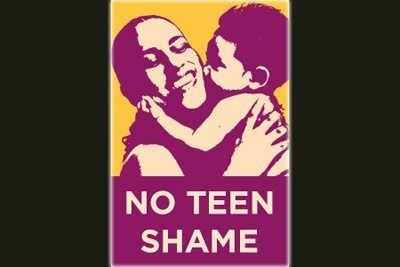 Every May, during National Teen Pregnancy Prevention Month, this statement along with many like it are widely shared and printed on large posters that go up around the country. However, there has yet to be a collective acknowledgment that without supporting the parents now, we are failing the children of teen parents and by extension maintaining an environment where these children can experience an unintended pregnancy just as their parents did. The good news is that not all organizations are using outdated prevention frameworks. 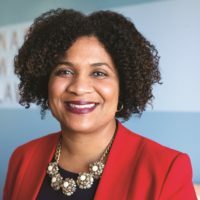 The Massachusetts Alliance on Teenage Pregnancy, for example, supports teenage parents through policy and advocacy trainings for both pregnant and parenting teens and non-pregnant and parenting teens at the same time. From their annual Teen Parents Lobby Days to their Young Parent Policy Fellowship and their policy and advocacy, which includes removing state funding from ineffective sexual education curricula in Boston schools, Massachusetts Alliance on Teenage Pregnancy is both supporting and preventing teenage pregnancy. The National Latina Institute for Reproductive Health also provides advocacy trainings, sexual health information sessions, and support to pregnant and parenting teens around the country, while advocating for comprehensive sexual health education and access to preventive services for all. In addition, with bold leadership and innovation, Young Women United, Strong Families New Mexico, NM GRADS, young parents, and allied partners worked to pass HB 300 in New Mexico, which created a statewide excused absence policy for pregnant and parenting students. In an incredible feat, legislators shared their own stories as former young parents, “shedding shame and stigma, as leaders spoke proudly about their lives as examples of how being a young parent is not the end of the road.” Rather than hiding behind scare tactics, these groups are charting a path that recognizes the contributions of young parents. They managed to establish the New Mexico Day in Recognition of Young Parents, which falls on August 25. 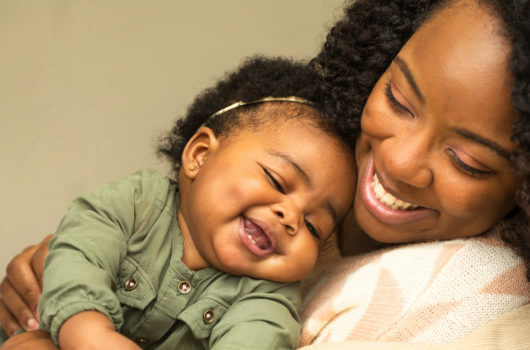 Seeing the connections between education, economic stability, and reproductive justice is how these groups are changing the conversation and the reality for young parents. It is long past time that larger teenage pregnancy prevention organizations, policy makers, funders and society realize and incorporate teenage pregnancy support in their teenage pregnancy prevention frameworks.